The AVAST forum is one of our largest and most active communities, with more than 300,000 users. The most active people on the forum are called Evangelists. They spend quite a lot of their free time helping and solving issues for our users, not only related to AVAST, but also with overall security. We asked them to share their top tips for keeping your computer and other devices safe from cybercrime while traveling. Let's go! 1. Use your own devices (mobile phone, laptop, tablet) to go online rather than a public library's or café's computers. Some of the new smartphones allow password tethering. Always enable the SSL connection in your online accounts when offered, for example by Facebook, Twitter, and Google. You can enable it in many other sites using special add-ons which encrypt your communications when using Firefox or Chrome. 2. 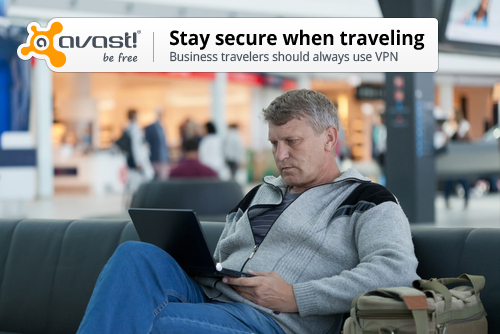 Connect to a VPN when traveling for business to get a secure, encrypted, and anonymous connection. Avoid free VPN due to ads and adwares like mentioned in our previous blog article. AVAST users can subscribe to avast! SecureLine through both free and paid-for versions of avast! Antivirus. If you're not a continuous traveler, you can go for a single month license. Learn more about VPN and avast! SecureLine, here. 3. Never do your online banking while using a free/open or ad-hoc WiFi connection. To be more secure, remove any insecure/open WiFi connections in your network connections. If you're on a Mac, take care of any Bonjour discovered items on the public network. It's also a good practice to setup your own home network with an unique name. 4. Be sure that no one looking over your shoulder at your monitor. To avoid key logging, use avast! SafeZone, available in our paid versions. avast! SafeZone is a fully isolated and secure desktop environment to use with online banking and shopping. 5. Set the avast firewall to "public mode" when using avast! Internet Security or avast! Premier, to prevent all incoming connections. 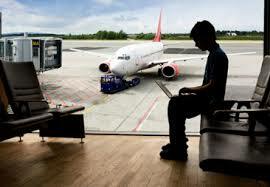 Avoid the use of any file-sharing, FTP server and P2P programs, mostly while traveling. 6. Check your privacy settings on social media. While posting or geo-tagging pictures of your trip, do not share them with everyone. Read more tips about oversharing in our recent blog article. 7. To avoid losing data if your device gets lost or stolen, some of us suggest using an encrypted partition/hard drive where your most sensitive files are stored. You can give the free TrueCrypt a try. For your Android smartphones and tablets, consider avast! Mobile Security with Anti-Theft protection set and enabled. In any case, a backup plan for all your important data should be considered. Oh, if you're already secured, enjoy your trip! Special thanks to our AVAST forum members who have contributed to these tips: Charyb, Dwarden, Jeffce, YLAP, SpeedyPC, Omid Farhang, George Yves, Asyn, Polonus, Mac and MikeBCda. If you ever have a question, please log on to the AVAST forum and ask. Our forum evangelists are happy to assist you.